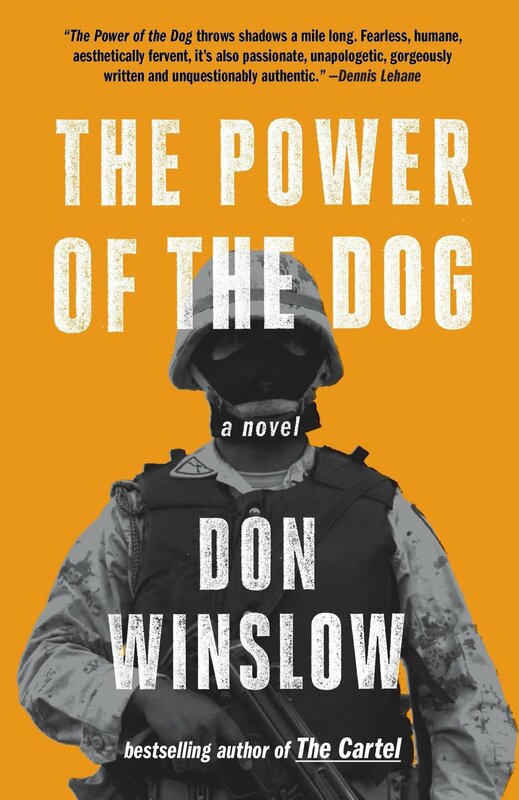 Since its release in 2005, The Power of the Dog has been praised by critics and readers all over the world, and for good reason. Don Winslow’s epic powerhouse of a story about the Mexican drug cartel and the US War on Drugs is flat-out incredible! If you’re a fan of shows like The Sopranos and The Wire and you haven’t consumed The Power of the Dog in some form, you’ve made one hell of a serious mistake with your life. This is a vital and necessary work of epic crime fiction, one that is consistently interesting as it is entertaining. Spanning nearly thirty years, The Power of the Dog charts the rise of the Barrera crime family and the syndicate of Mexican drug cartels they are at the head of. Obsessive DEA agent Art Keller is partly responsible for the rise of the Barrera’s and he risks everything — his life, his family, and even his own country — to stop them. While Keller and the Barrera’s are the core characters, Winslow paints a very broad picture of drug trafficking and the efforts of the United States’ government to curb the incoming shipments of heroin and cocaine from across the border. There’s rival Mexican cartels, the New York mafia, the CIA, the DEA, prostitutes, and killers, all of whom are ensnared in some way, shape, or form with drugs. Winslow has meticulously researched the War on Drugs, the relationship between the cartels and the police, the levels of corruption within both that support and fuel one another, and the ways in which this war grew intertwined with covert efforts to halt the spread of communism in Latin America, bringing us into the world of organized crime and gun smuggling as the Mexican Trampoline provides a conduit for Colombian cocaine to enter the US. In addition to be an incredibly rich and layered narrative, one that examines drug crimes from multiple perspectives and levels, The Power of the Dog is also a searing indictment of American policies in drug laws, Mexican corruption, and the US War on Drugs. Over the course of thirty years of foreign policy, the US has only succeeded in helping the cartels grow fat and rich, helping to spread drugs to its citizenry, and operating with flagrant hypocrisy smugly wrapped up in a false air of moral superiority — and there ain’t no wall that can contain that. Keller’s attempts to halt drug trafficking over the thirty year period Winslow examines oftentimes puts him at odds with his own bosses, as well as the Attorney General who far too soon declared victory on the War on Drugs and maintains there is no cocaine in Mexico. The DEA’s efforts, meanwhile, are sabotaged by CIA operations in South America, which sees the US government covertly providing Contra guerillas with training and support, helping them to smuggle guns and drugs, in turn aiding the cartels to ensure drugs are distributed all across America. Although this is a work of fiction, Winslow has clearly done his homework and his narrative has a crystal clear measure of authenticity. The procedural aspects of the narrative ring true, from Keller’s investigation to the operations of a brothel, from the CIA operations in Nicaragua to the mob-run streets of New York City, it all rings true. Thankfully, so do the characters. You can wholly understand Keller’s obsessions, his attempts to make up for earlier mistakes and avenge those who have fallen victim to the violence of the Barrera cartel. Adan Barrera is fully fleshed out, his journey from a young street thug to the head of a crime syndicate immaculately told. Winslow does not skimp on any of the finer details, not even the violence that surrounds both of these men in their daily lives. The violence in particular is especially and shockingly potent, and there are two scenes in particular, one a very long and gruesome torture scene and the other an act of merciless violence atop a bridge, that I believe will stick with me forever. Winslow expertly navigates the story of drugs over several decades, and narrator Ray Porter delivers the pitch-perfect reading this material deserves. Porter is a narrator that in very short order has risen to the top of the ranks in terms of my personal favorite narrators, and he’s absolutely one of the best in the business, to the point that I’ll now buy an audiobook simply because he’s attached. This man is a freaking powerhouse of a performer capable of making each character distinct, no small task given the number of characters we meet over the course of this book’s 20 hour-plus runtime. Porter utilizes a wide range of tones, pitches, inflections, and accents to make every one of Winslow’s characters stand out. He has a full command of the text and understands the nuances of the spoken word, injecting appropriate measures of gravitas as needed and making you feel the sharp, edgy points of Winslow’s words. I haven’t heard a bad production from Porter yet, and I’m not honestly sure there even is one. Winslow’s talents as an author are obvious, but it’s Porter’s narration that’s going to ensure I listen to The Cartel rather than explore it in print or ebook. And oh yes, to be sure, I will be digging into The Cartel soon. I do need a short break from crime epics, but short it will indeed be. I’m already jonesing for another fix from Winslow, and with the third and final installment in this series, The Border, just weeks away I can tell I’ll be going on a bender with these last two books. For all the failings in US drug policy and ills and evils of the Mexican cartels that Winslow recounts in immaculate detail, I suppose it’s only natural that he succeed in making me an addict, the hypocrite.